Looking for an alternative to Pingdom? Using Assertible you can check for more than just strings. 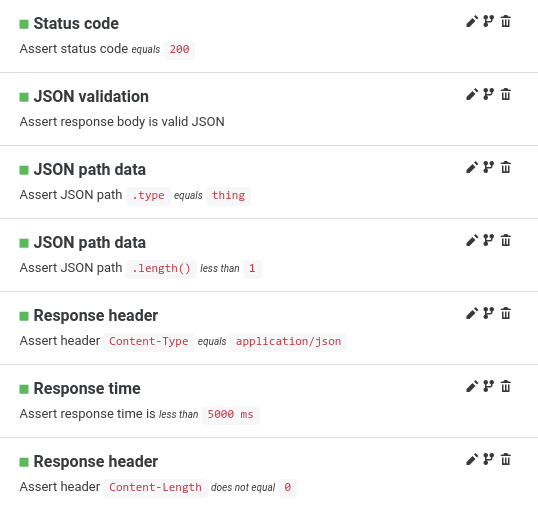 Assertible has support for API validations like JSON Schema and JSON Path as well as website assertions like HTML validation and link 404 checking. Downtime alerts and notifications are critical. 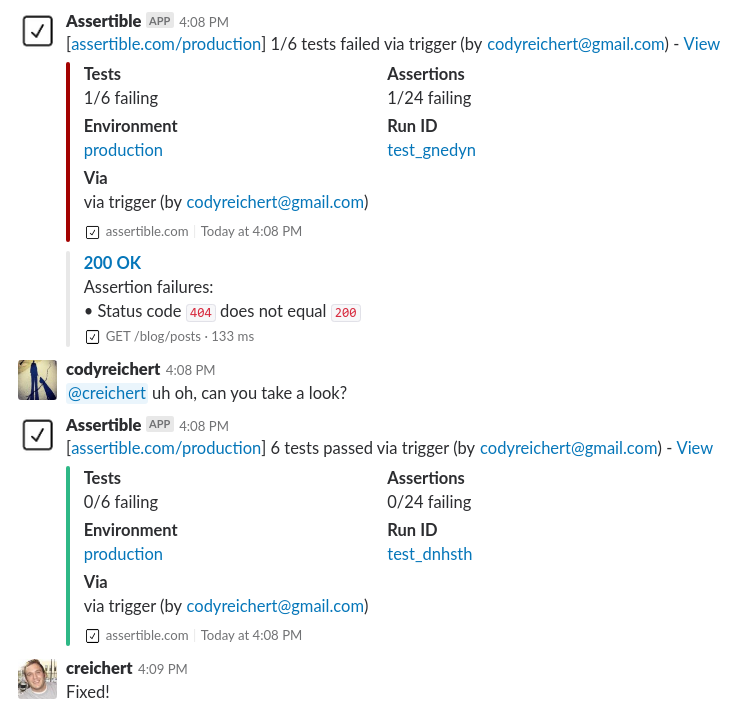 Assertible provides actionable and fine-grained alerts out of the box so your team can immediately understand the nature of degraded services. We want to make system maintenance and downtime response as simple as possible by providing specific alerts with key information about your web service, endpoint, and failure. 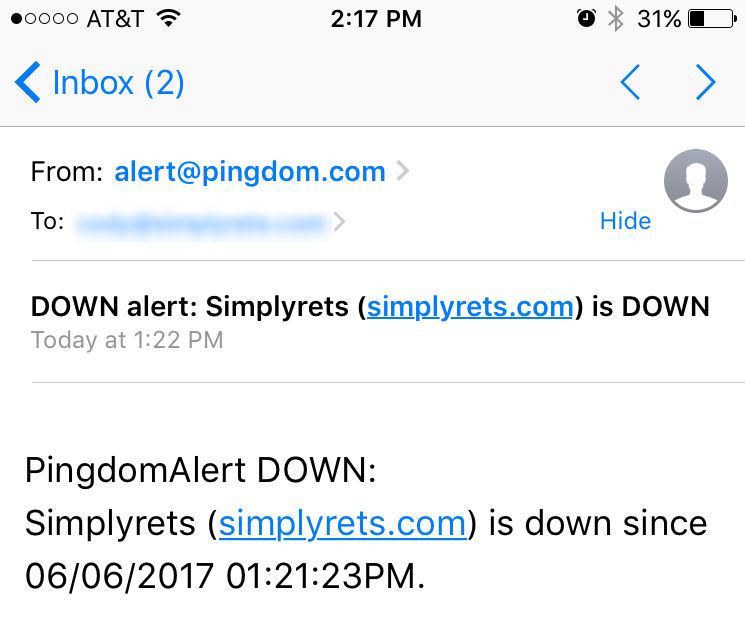 Pingdom's default notifications, on the other hand, lack critical information needed to understand downtime immediately and almost always require a second step to understand why a check is failing. Looking for more reasons to use Assertible? Check out this comparison of Assertible and Pingdom. 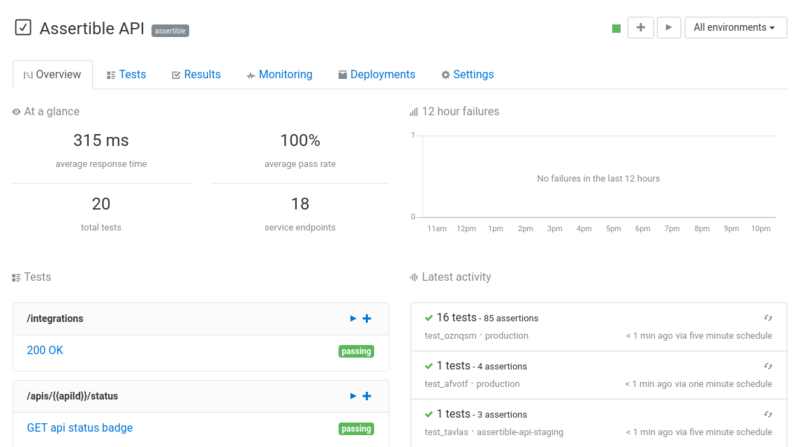 Assertible is built around the concept of real-world web services, and allows you to reuse the same tests against multiple url endpoints or region-specific instances of your web service. 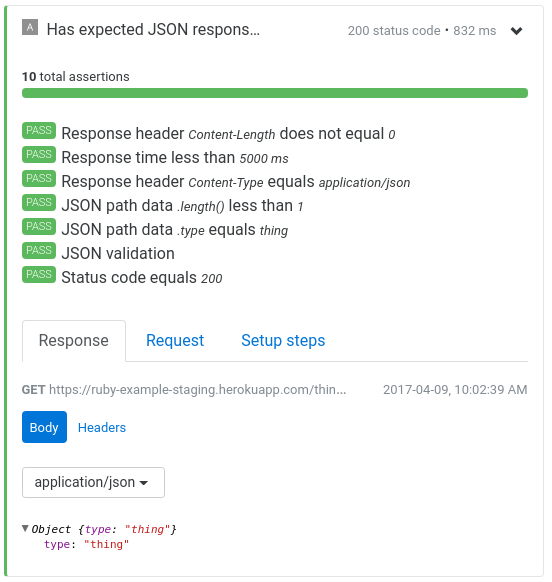 Services like Pingdom provide a loose test structure that lacks context and can result in flaky tests which are difficult to debug. © 2016 - 2019 Assertible, Inc.